A small master bedroom can be as comfortable as the large one. 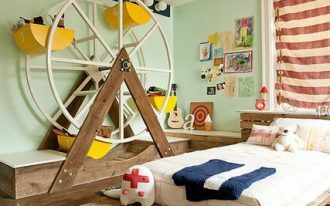 You should consider the bedroom furniture that fits the small space. 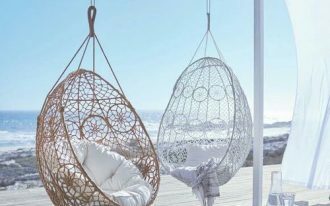 You still can have a bed, nightstands, and a nice lighting fixture for your small master bedroom. 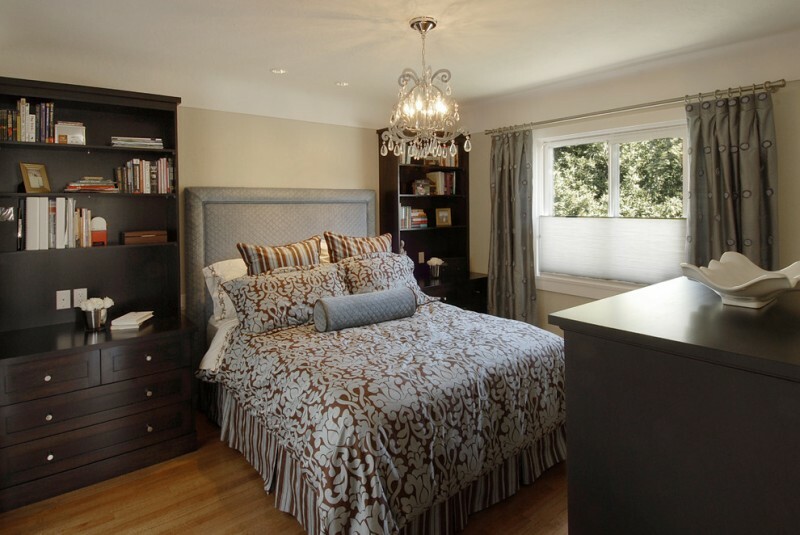 You can install some windows or full mirror wall to make your bedroom looks more spacious. 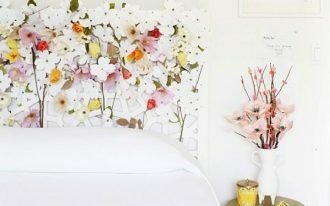 Using the neutral colors to fill your small master bedroom is also really considerable. 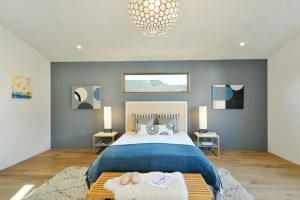 The following are some small master bedroom ideas with the spectacular furniture and decorations that will inspire you. 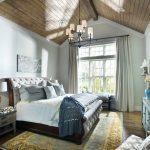 This small master bedroom comes with dark brown built-in storage, a grey custom upholstered headboard, a crystal chandelier, patterned bedding, and light wood flooring. 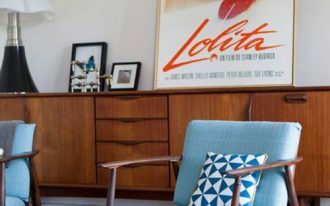 You can fit necessary furniture into your small master bedroom. 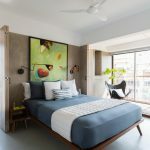 This small bedroom features a blue bed, a headboard, minimalist nightstands, a wooden bench, wood flooring, hand-a knotted rug, and a pop green leaves wall decor. 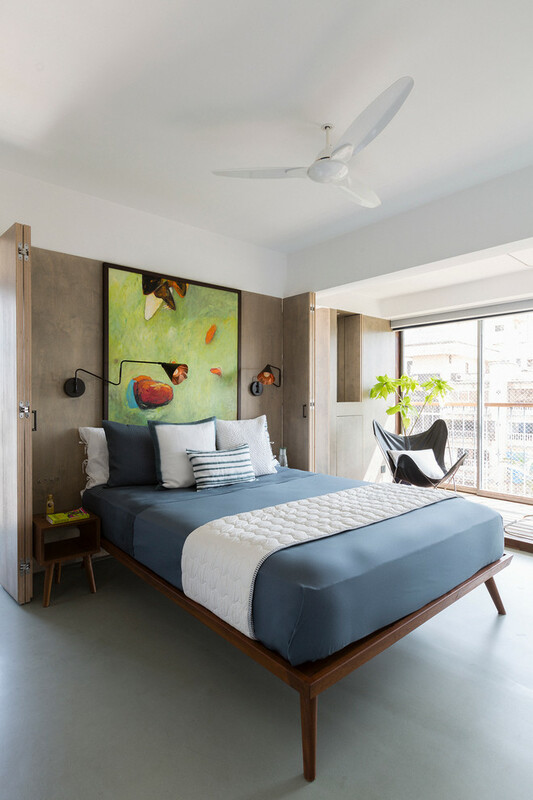 The white wall, white ceiling, and the glass sliding doors make this bedroom feels roomy. 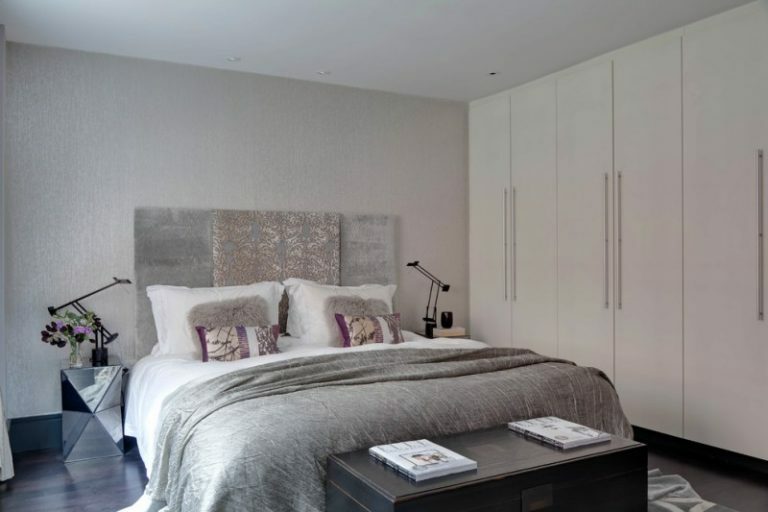 The black painted furniture in this small master bedroom provides a strong masculine feeling that is softened with a pretty chandelier and pink velvet cushions. You can also make a minimalist white trim on the grey wall. 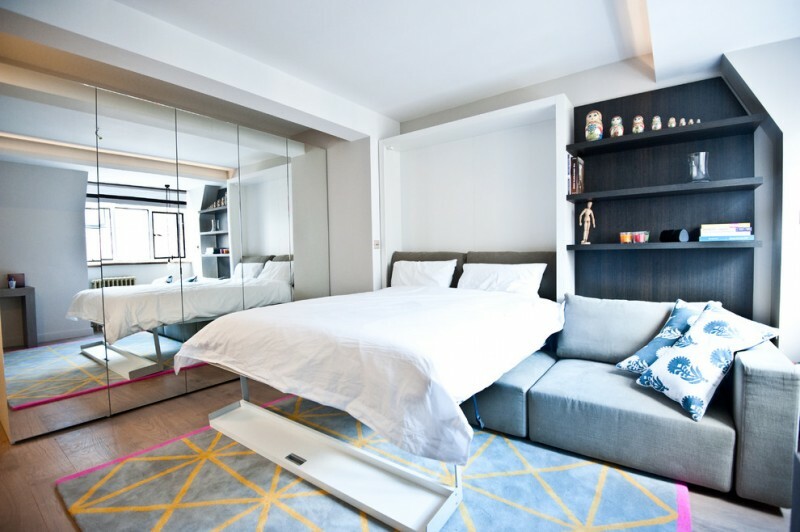 If you live in a small apartment, you can use an unfolding bed in your small master bedroom. 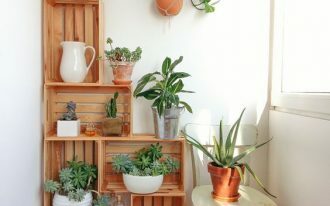 It has a smart solution for a small space. 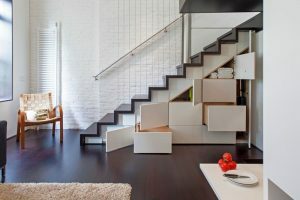 You can also add a full mirrored closet that will give you an illusion of more space. 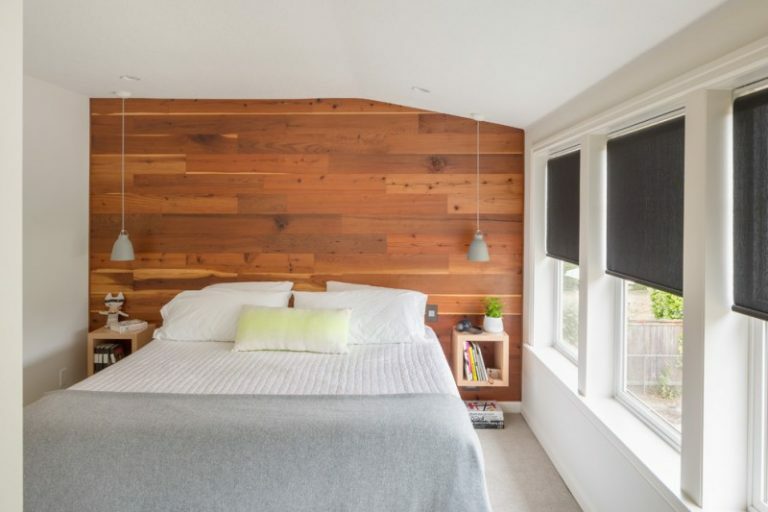 This small master bedroom is in an attic space. You can see the cedar wood plank walls with built in shelves in the master bedroom that give a natural sense and make the room glow. 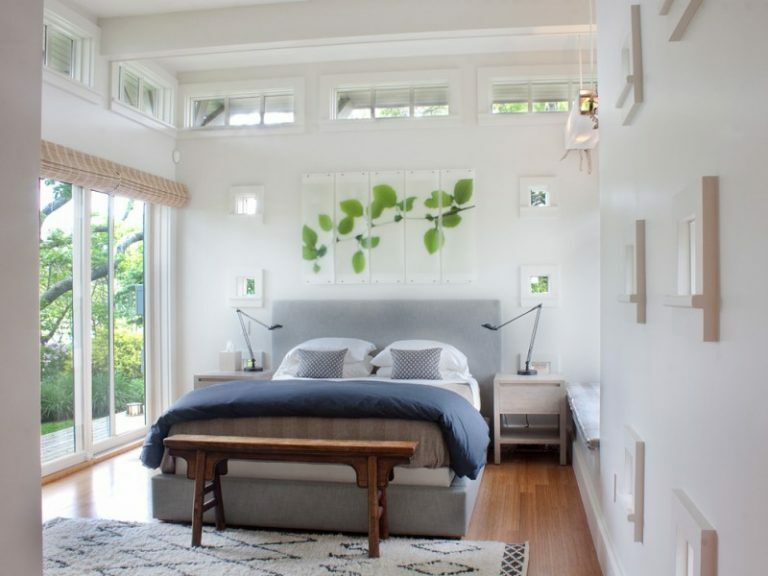 This master bedroom is filled with half glass window wall. 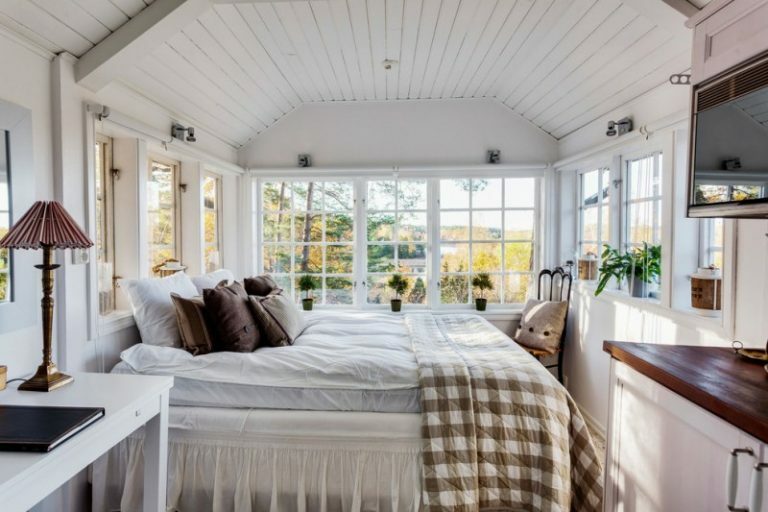 The windows surround the bed will give a beautiful view and make you enjoy in your small bedroom. 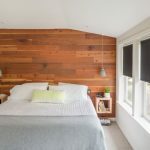 You can get the roller blinds for the window treatment. This small contemporary master bedroom comes with art touch and simple furniture. You can put a pretty colorful painting and a small chair near the glass windows in this bedroom. 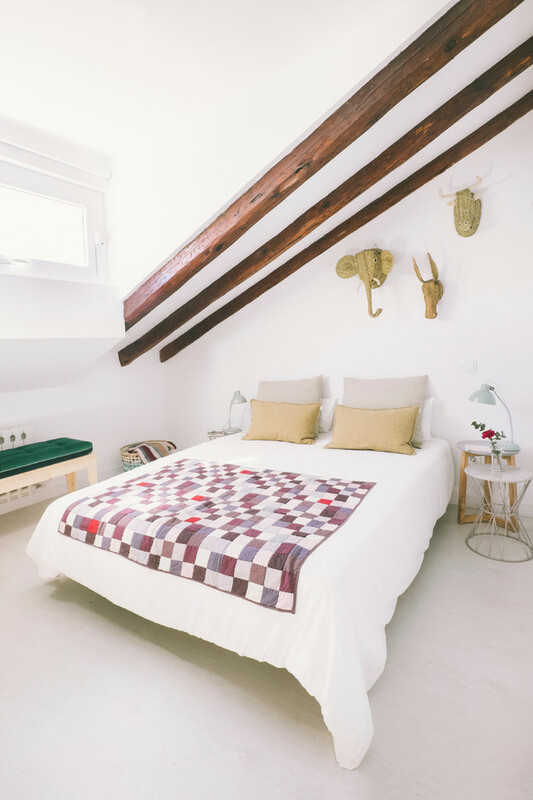 This white bedroom has nice wood beams on its ceiling. 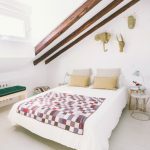 This bedroom is decorated with the animal wall sculptures. 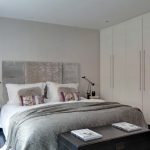 This gray bedroom features a grey bedding, grey luxurious headboard, futuristic side tables, industrial table lamps, flat wardrobes, a dark chest, gray wall, grey ceiling, and dark hardwood floors. The floor to ceiling robe appears to blend into the wall. 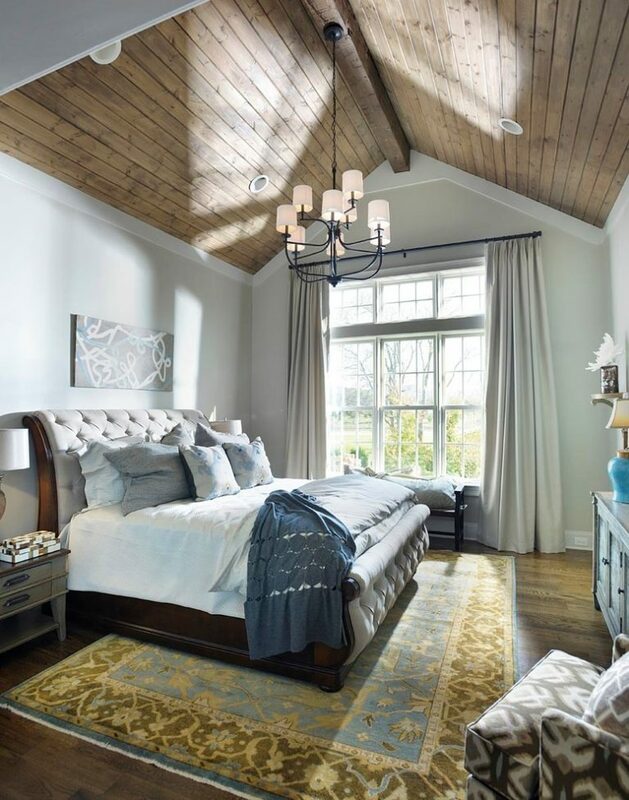 Vaulting the ceiling will certainly look good with a small bedroom. 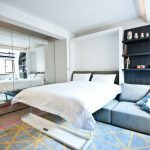 The extra height from it will make the bedroom feels larger and luxurious.